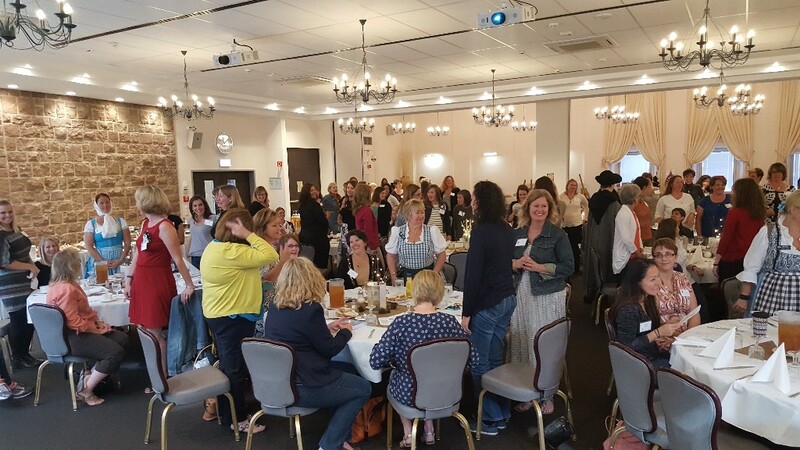 Join us for our luncheon and upcoming events! Our first official luncheon was a success! The feeling of excitement and friendship in the air was contagious and I was excited to see so many dressed for the fairytale theme. 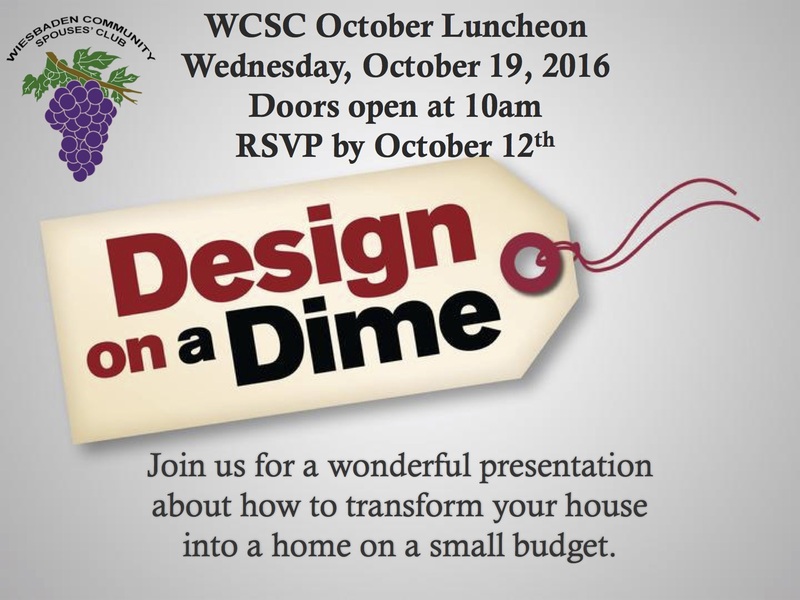 The WCSC Board hopes that you all enjoyed yourselves and that you are excited to join us on October 19th for our "Design On A Dime" luncheon. Be on the lookout for your Punchbowl invitation on October 1st, the RSVP deadline is October 12th. 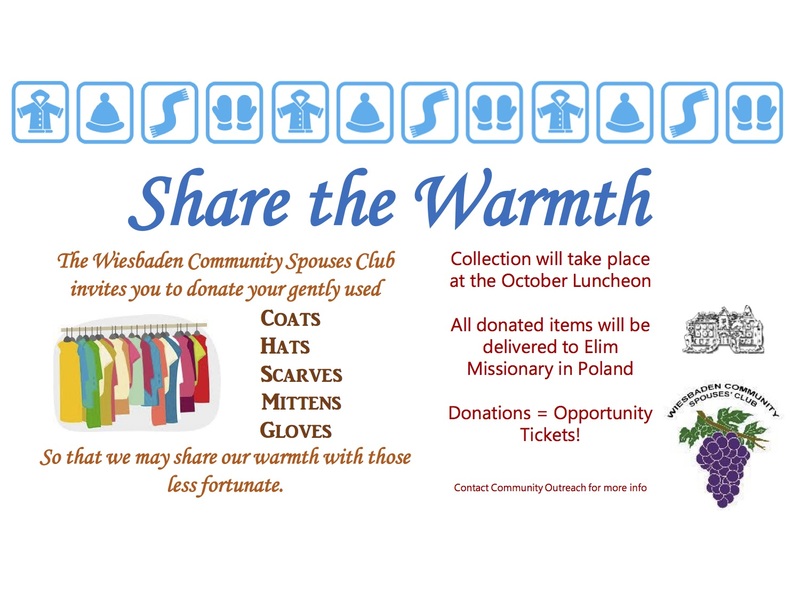 Our Community Outreach chair, Meagan, will be collecting new and gently used hats/gloves/coats during the October luncheon to be donated to the Elim Missionary in Poland. Please take a moment to look through your closets to help us "Spread The Warmth". At the luncheon there will be a special Community Outreach opportunity drawing, you will receive a ticket for each donated item. 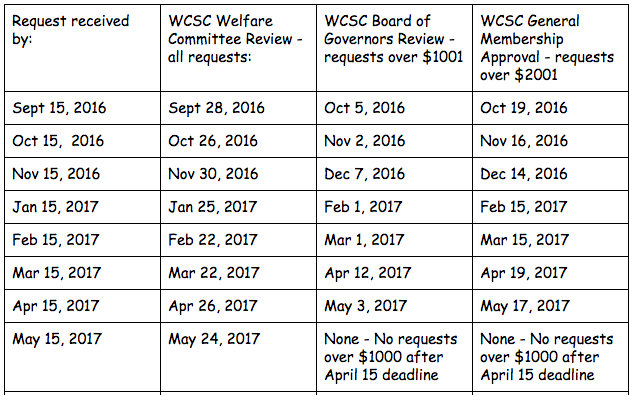 The WCSC Activities committee has planned many fun activities and clubs, there is something for everyone. Our first overnight trip takes place October 24-26 to Nove, Italy; this will be a special trip full of new experiences including shopping for pottery and designer leather handbags. 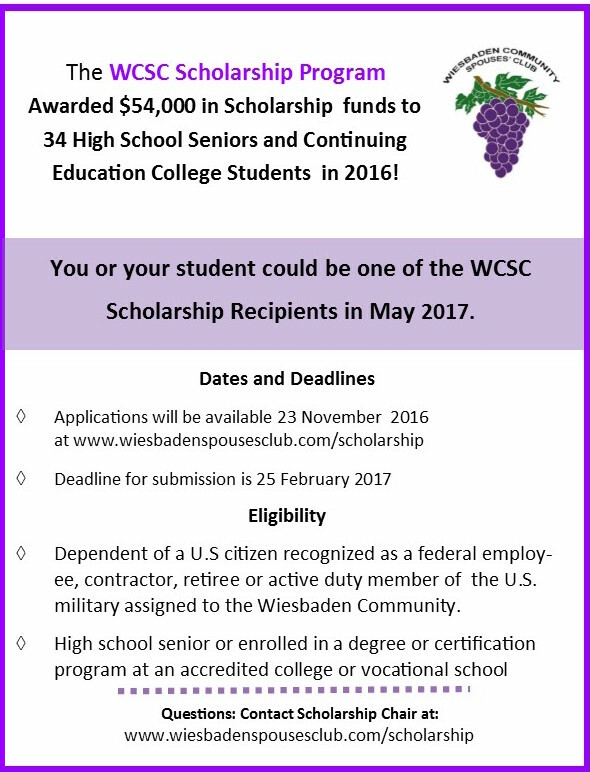 I would like to extend a warm welcome to all our new WCSC members. 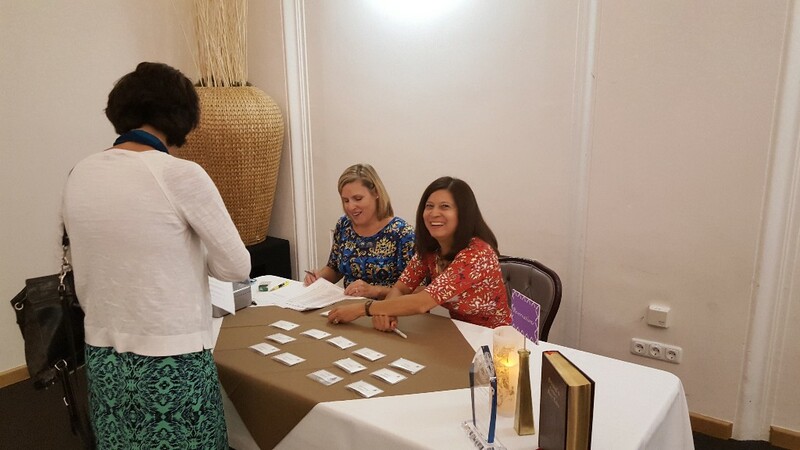 It was a pleasure to meet those of you who were able to join us for the Newcomers Welcome hosted by Jill Crider at the WCSC Clubhouse. 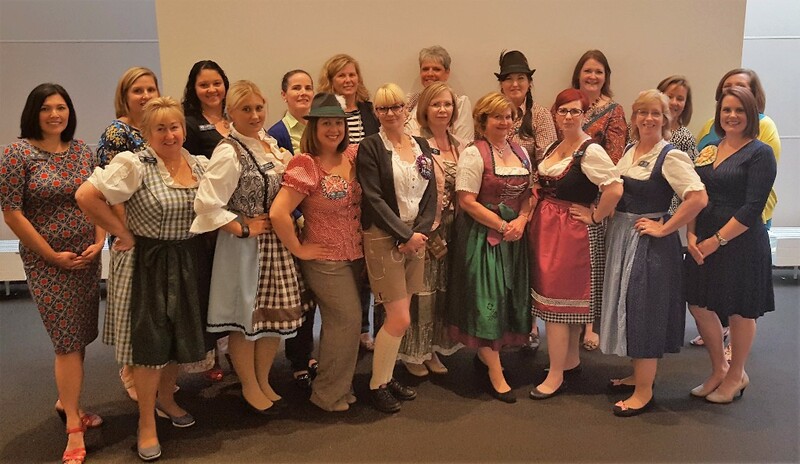 Sharing a fantastic Oktoberfest lunch with new friends was a lovely way to spend the afternoon. We hope to see you at future events and activities. 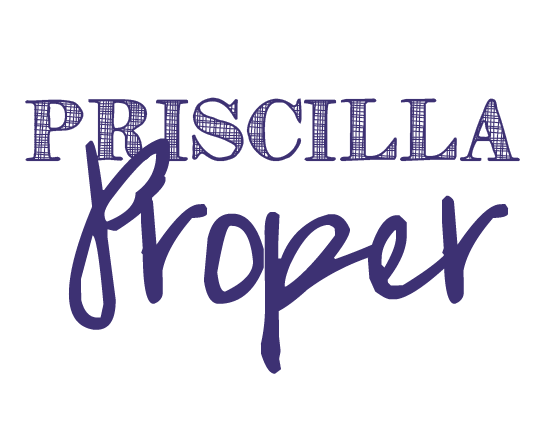 Membership is open all year, so please invite a friend to join! The chilly weather and kurbissuppe are confirmation that Fall has arrived. This time of year is wonderful.....whether you go to the festivities at Burg Frankenstein, Oktoberfest in Munich, or simply a walk through the vineyards I hope you've found something to love. We hope to see you and your little ghosts and goblins on Halloween, remember to stop by the WCSC Clubhouse for a sweet treat! ALL 39 new members from the month of September! 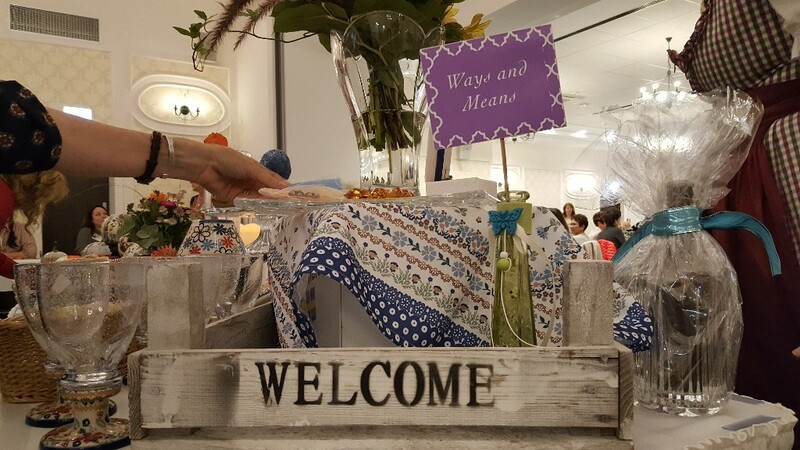 We hope you were able to attend and enjoyed the Newcomers' Welcome and our first luncheon! Looking forward to seeing you in October! Thank you to Robin Fitch for all that you do! Oh Dahling Buffy, not to worry! This one is si facile! Of course you should always reply to any invitation that has a "RSVP" note, which plainly means, "respond please". What it does not express, and I personally prefer, is that you should also respond as soon as possible. If the invitation has a "Regrets Only" line, it means "call if you are not attending". Regarding hostess gifts, it certainly is not required nor expected that you bring along a token of appreciation, but who doesn't love a thoughtful trinket? Of course you should always send a nice note or call your hostess shortly after the event. All of this is about CONSIDERATION. 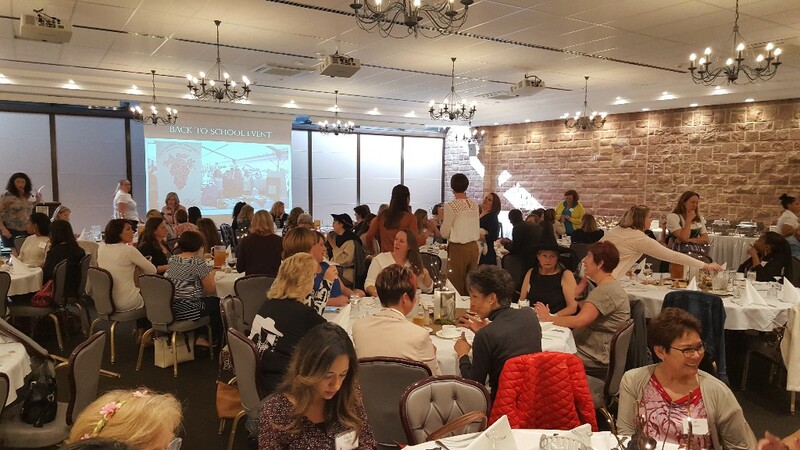 By replying when asked to do so and conveying your appreciation for the invitation and the wonderful time that you surely had at the social, is just an expression of respect and gratitude. Besides, dahling, who wants to plan for 20 when only 10 will attend? Now, I'm off to a fabulous soiree this evening and I must attend to those matters at hand! 5 Vineyard Wagon Ride and Wine Tasting with Dinner in Nierstein - 25 Euros- Spouses Welcome! If you are interested in submitting a request for funds please refer to the table below for dates.